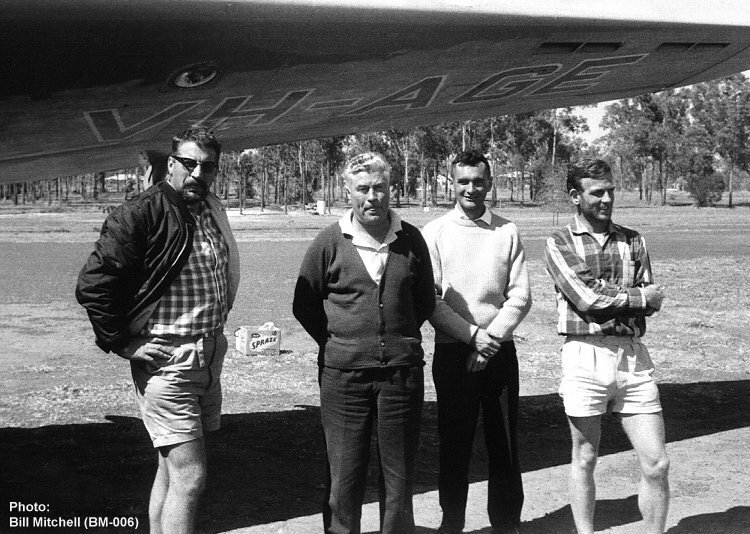 The crew of Hudson VH-AGE at Darwin in mid 1965 working on an aero-magnetic survey over the Timor Sea for French client CGG. L-R Pierre Umbenstock (Australian Field Mng. CGG) Jack Tierney nav, Allan Walker pilot and Michel Martin CGG survey gear technician.